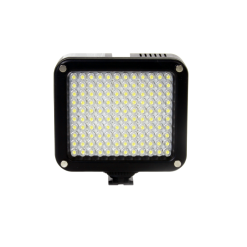 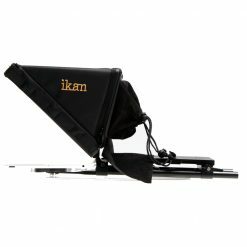 The follow up to the ever popular PT2500 is Ikan’s PT1200. 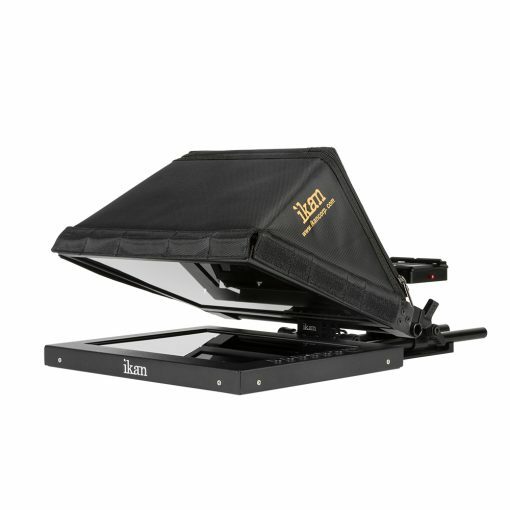 Featuring a custom designed 12-inch monitor for the perfect balance between viewing distance and portability. 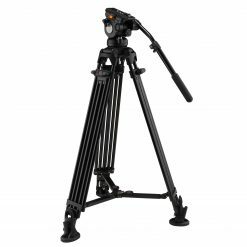 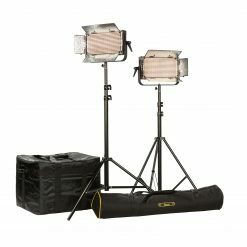 The unit is designed around the industry standard 15mm rod system. 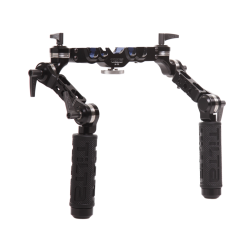 This allows the whole setup to be more durable and more lightweight. 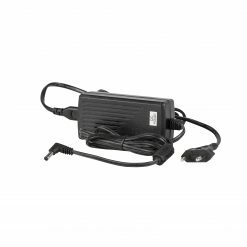 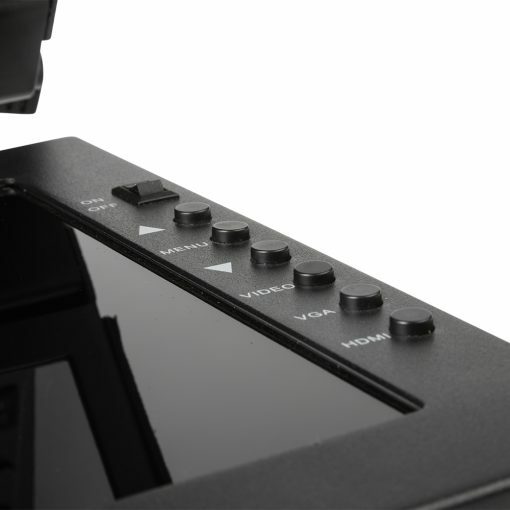 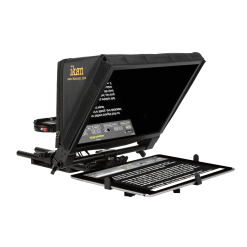 The PT1200 is the most compact full featured teleprompter we carry. 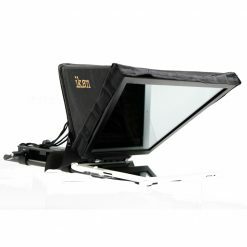 The whole unit breaks apart into 3 main parts and the glass frame folds. 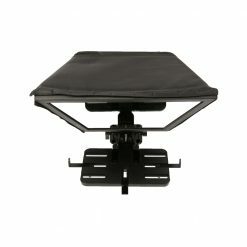 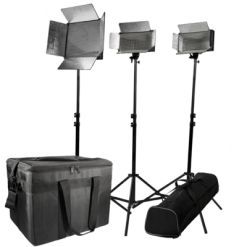 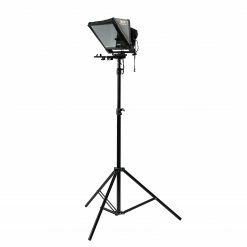 This allows the teleprompter to pack small and tight. We include scientific grade, made in America, teleprompter glass. 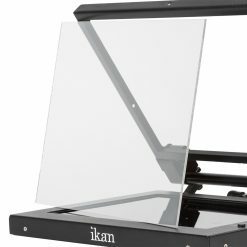 You don’t have to worry about how the glass will affect your image. 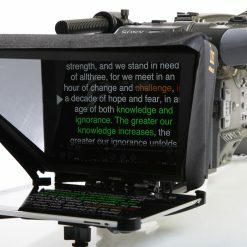 Other teleprompters include “off-the-shelf” LCD monitors designed to be used on a desk attached to your PC. 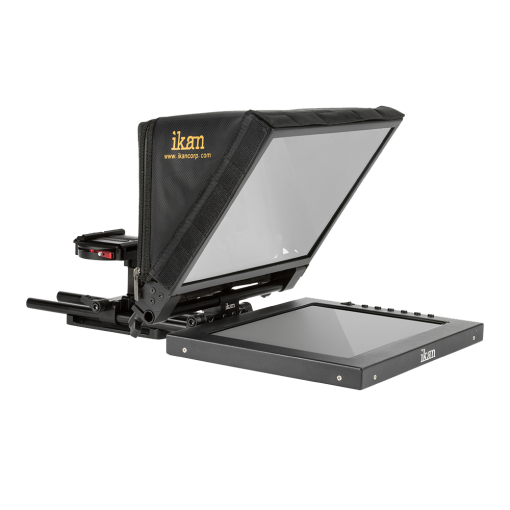 We designed our monitor specifically for use as a teleprompter. 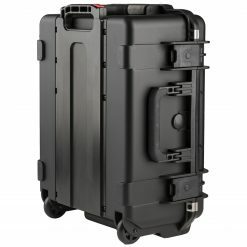 The housing is made of metal for durability. The buttons and inputs are laid out for easy access. 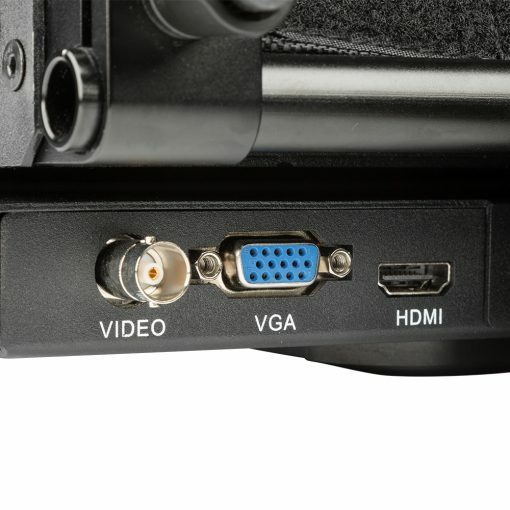 The screen is sharp and clear. 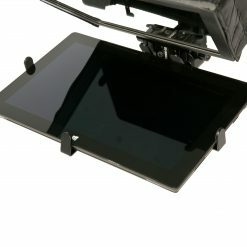 To make your job easier we have made the glass frame adjustable. 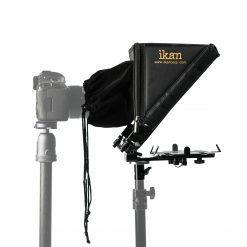 This way you can adjust it to match your talents view and not have to adjust your other gear. 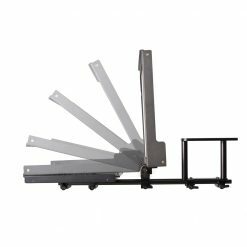 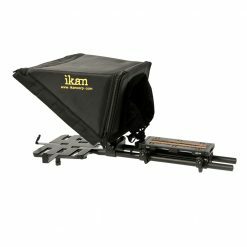 The adjustable frame also makes it easier to pack and travel. The PT1200 is equipped with our new EV3 Quick Release Base plate. 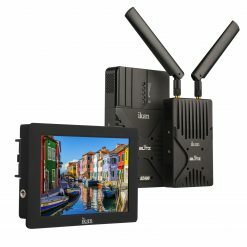 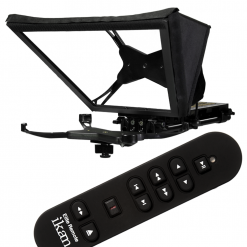 This allows you to quickly add or remove your camera. 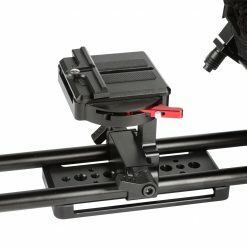 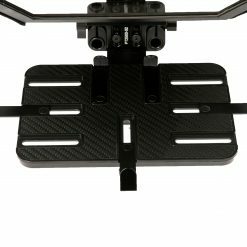 It is also adjustable in height to accommodate different sized cameras. 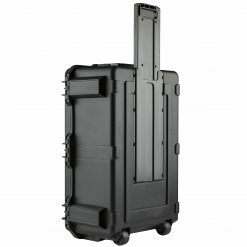 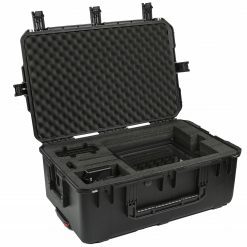 The PT1200 Travel Kit comes included with a high quality, Made in America, SKB rolling hardcase. 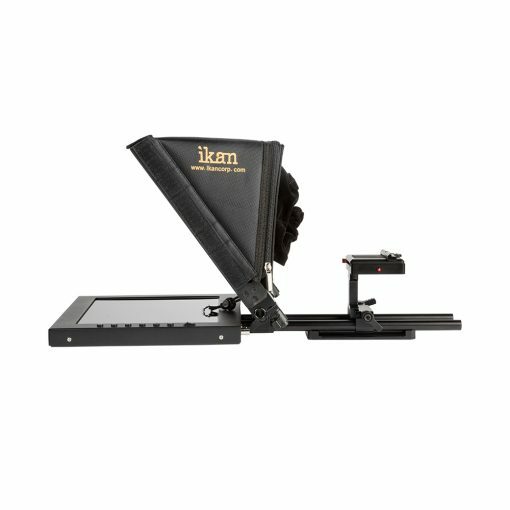 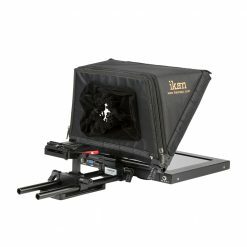 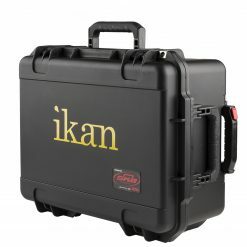 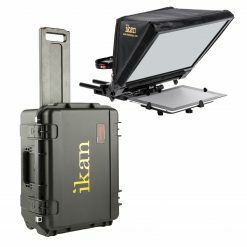 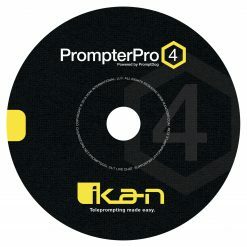 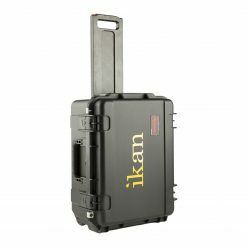 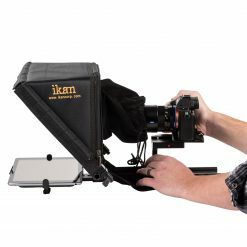 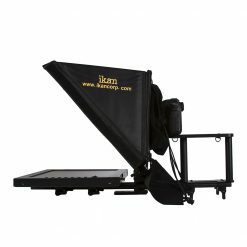 Ikan partnered with SKB to bring our customers the perfect case for their teleprompter.